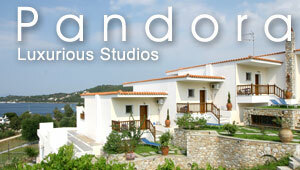 Skiathos Bourtzi: Bourtzi is a tiny peninsula that divides the Skiathos port into two distinct parts. It used to be a fort, which was built by the Gizi brothers who ruled over Skiathos back in 1207. Bourtzi was bordered by impregnable walls and there were two towers located to the left and right of the main gate. Presently, it is not feasible to establish the height of the parapet from the ruins. Archaeologists are of the opinion that inside the fort there used to be a small church, the church of Agios Georgios, who was the guardian deity of the Venetians. The church was in all probability built by the Gizi brothers. Due to the presence of that church, Bourtzi was popularly referred to as the Kastelli tou Agiou Georgiou (Castle of Saint George). The impregnable fort was ruined in the year 1660 with the occupation of the island by admiral Francesco Morozini. In the year 1823, the inhabitants of the island were able to drive away Topal Pasha. After the deliverance, the foremost Lazaret of the island started functioning in Bourtzi. In the year 1906, a school was built in the middle of the peninsula, which was funded by Andreas Syngros. The bust of Alexandros Papadiamantis that is positioned at the entrance of the school has been in place ever since its inception in the year 1925. In the present times, Bourtzi is a popular place for rest and recreation. The entire neighborhood is replete with stately pine trees and offers breathtaking views of the surroundings. There are numerous sites where one can still see the vestiges of the past. The primary school presently serves as a gorgeous cultural center. Inside the premises, the are exclusive conference rooms and also a marvelous summer theatre and every year it hosts theatre and musical performances.